Sony Electronics Inc is a provider of video and audio electronics as well as other IT products for both professionals and other consumers. With its headquarters in San Diego, this company is involved in research and development work, engineering, sales, distribution, marketing and it even offers customer service. The company is known for its huge collection of high definition TV as well as, cameras, camcorders, and personal stereos. The company also put forward an entire lineup of B2B products for photofinishing, visual imaging, security applications, and medical applications. It distributes products through different product marketing divisions including home division, business solution division, and services division. There are currently 0 consumer reviews about Sony Electronics, Inc. available. Share your review. Please take a note that you are about to post a public review about Sony Electronics, Inc. corporate office on CorporateOffice.com. This review will be public, so please do not post any of your personal information on this website. 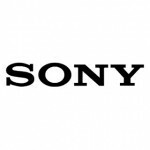 If you would like to contact the corporate offices of Sony Electronics, Inc., please use their contact information such as their phone number, website, and address listed above to contact them. However, sometimes staff from Sony Electronics, Inc. headquarters do read the reviews on this website.